The C ceil function is one of the Math Function, used to return the smallest integer value which is greater than or equal to a given number or specified expression. 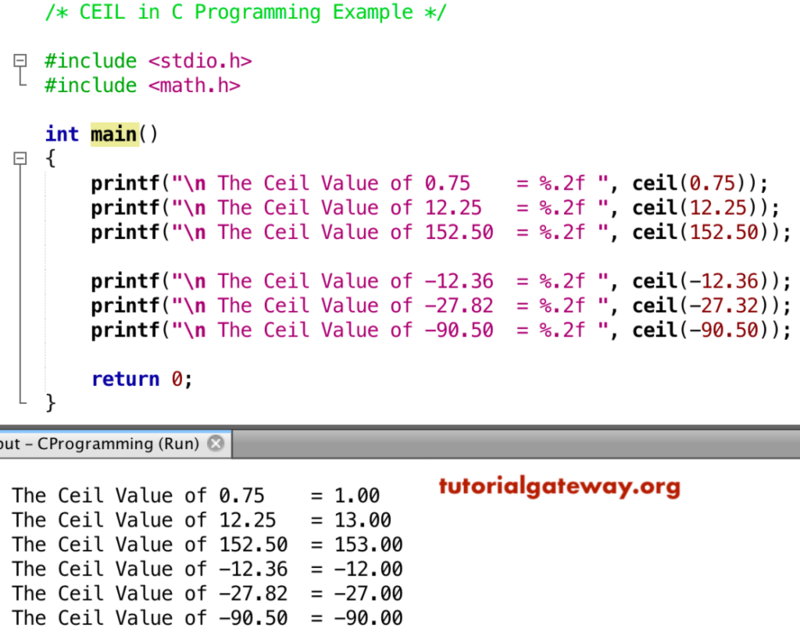 In this article we will show you, How to write ceil function in C Programming language with example. The basic syntax of the ceil in C Programming is as shown below. 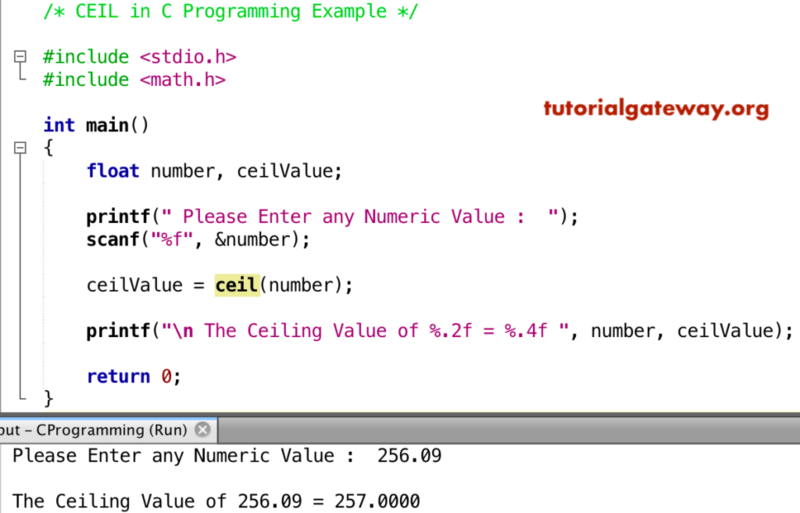 The C math ceil Function allows you to find the smallest integer value which is greater than or equal to a given number. In this program, We are going to find ceiling value, and display the output. In this example, we are allowing the user to enter their own value. Next, we used ceil function to find the closest numbers.